The voters in Massachusetts have passed a new law which allows the possession and recreational use of marijuana. The statute takes effect on December 15, 2016. With that said, the possession of marijuana will remain illegal under federal law. There are lots of open questions about how the law will be implemented. Many employers are asking about how to deal with marijuana use in the workplace. For now, employers who do drug testing of employees can breathe a little easier. The language of the referendum explicitly states that the law “shall not require an employer to permit or accommodate conduct otherwise allowed by this chapter in the workplace and shall not affect the authority of employers to enact and enforce workplace policies restricting the consumption of marijuana by employees.” This means that employers are free to enforce their existing drug policies and prohibit marijuana use. A recently decided case deals with employer drug policies under the existing medical marijuana law. The case of Barbuto v. Advantage Sales and Marketing involved a plaintiff employee who was terminated after testing positive for marijuana use, though she had a valid prescription for medical marijuana. The Suffolk Superior Court dismissed her claims for wrongful termination and disability discrimination. 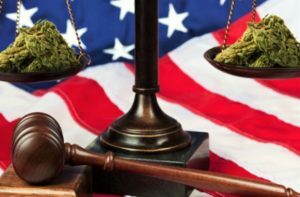 In doing so, the Court affirmed an employer’s right to terminate an employee for on-duty and off-duty use of marijuana, including marijuana with a prescription. The Law Offices of Beauregard, Burke & Franco handles all forms of employment litigation for both employees and employers in the SouthCoast area.